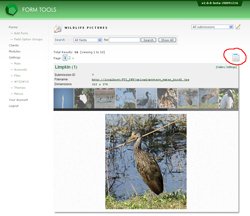 The final menus tab contains all functionality relating to the Form Tools navigation. Here, you can modify your own administrator menu - adding, removing or re-sorting menu items - and create or modify the client menus. All new installations of Form Tools have two menus already set up: one for the administrator, one for the client accounts. Depending on your needs, you may find that these two menus are enough and that don't need to edit them or create any more. But if you do, it's nice to know that you can. Being able to customize the menu items can be very useful in some cases, to reduce the amount of clicking to get from A to B. For example, if you only have a small number of forms, you might want to consider putting links to each of them in the navigation menu itself. Or, if you use one or more modules quite frequently, rather than having to navigate to the Modules page, then find and select the appropriate module, you can instead add a link to the module right in your menu. Editing and managing the Client and Admin menu content work exactly the same way. 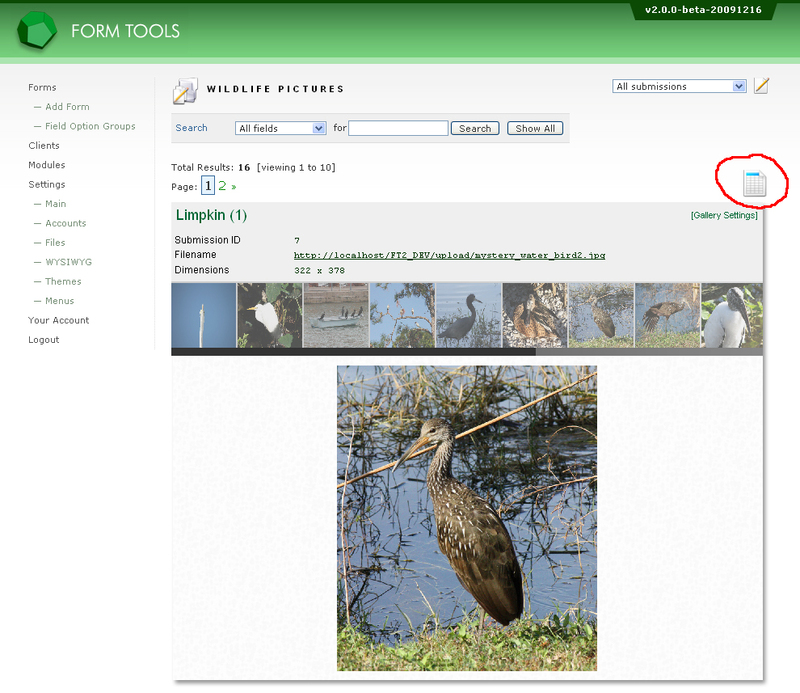 On the menus page, click the appropriate EDIT button. The following page will list all menu items in that particular menu. The available pages dropdown lists all pages that are relevant to the account type. Administrator menus, for example, have a much larger number of pages that can be linked to. Some pages allow for additional settings, like "Form Submissions" or "Edit Client" which let you pick a form and a client, respectively. The Pages Module - which comes installed with all new standard Form Tools bundles - allows you to create custom pages within the Form Tools UI, which you can then include as part of the navigation. Generally, this can be useful to create "Splash" pages which you can link to for clients when they log in. Ultimately, the functionality of that module will be expanded for more server-side customization, but even at this stage it can be quite useful.